"The eurovision song contest is losing viewers – so many people saw the premiere"
"Fewer tv viewers – but hit röstningsrekord"
"the Eurovision song contest loses in the ratings." "more than 200,000 fewer checked at the premiere of the entertainment programme than in the previous year." "We are very pleased to have over 3 million viewers positioned themselves to see the premiere of this year's Contestants," says Peter Nyrén, programbeställare on the SVT." "3 038 000 people watched the premiere of the Eurovision song contest in BBC1 in weekend, preliminary figures show from the MMS." "Compared to last year, 3 293 000 viewers, it is a drop of more than 200 000 viewers, but the SVT doesn't seem to be worried about the numbers." 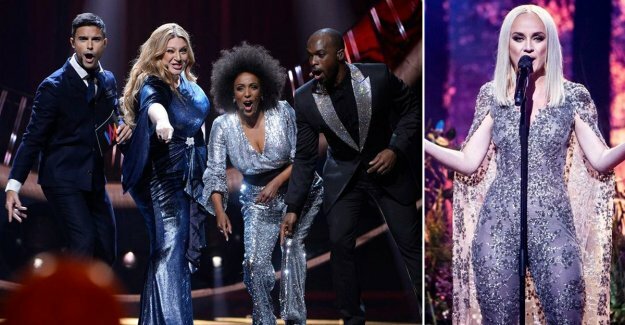 "We are very pleased to have over 3 million viewers positioned themselves to see the premiere of this year's Contestants," says Peter Nyrén, programbeställare on the SVT, in a press releases." "Statistics show that the program was seen by 73.9% of all tv-viewers and by 82.8 per cent of tv viewers aged 20 to 59 years." "How many who chose to check out on the web, we get to know the first few days, and Peter Nyrén says that totalttittande goes in line with the decreasing tv viewership. " "– Tittartidsandelarna for the program is still uniquely high. Now we are looking forward to see how many people chose to watch the program on SVT Play." "at the same time, the program röstningsrekord for the first round of the season with over 7 million of votes cast." "– We rejoice also to the great commitment to the contest with the viewers and that they really seem to appreciated the entertainment as this year's programledarkvartett offered. It bodes well for the continuing journey towards the final on 9 march."